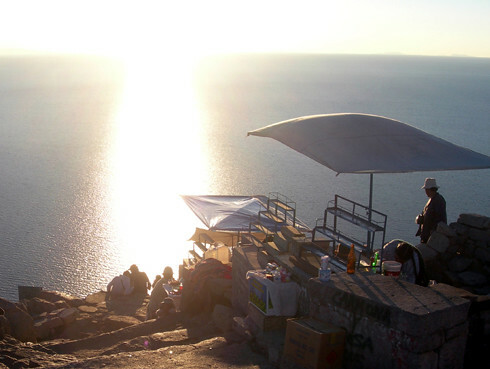 Copacabana is Bolivia’s gateway to Lago Titicaca (Titicaca Lake), one of the world’s highest (3820 m) and biggest (8300 km²) lakes. 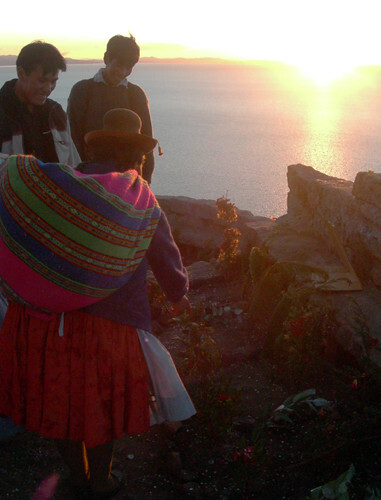 The legend has it that the founders of the Inca Empire, Manco Capac and Mama Ocllo, emerged from these waters. 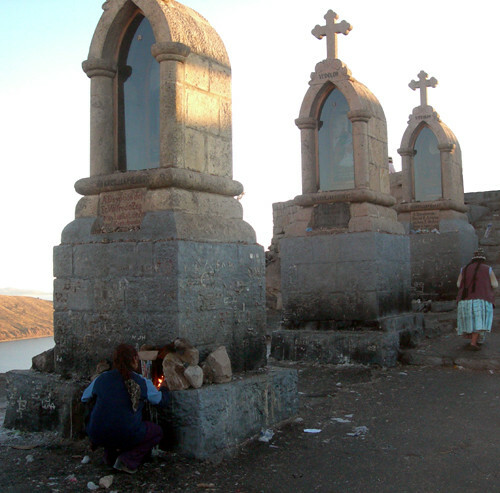 Overlooking Copacabana is Cerro Calvario. It was one of few places I have truly felt spiritual. Standing on its summit (3966 m), I felt the positive energies from the expansive lake, the mirrored blue on the sky above, and the calm that lifts you to a place that is beyond the reaches of the worldly troubles. 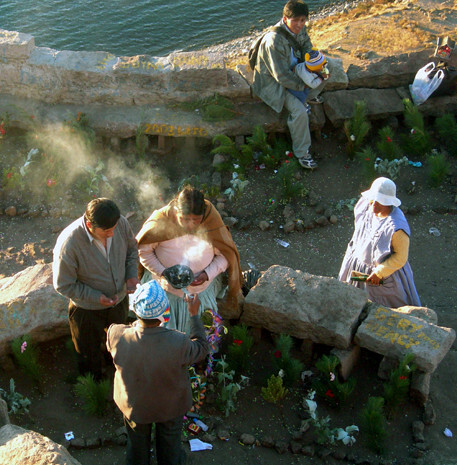 Many couples came to get blessed by the holy man in (somewhat quirky) ceremonies that lasted about 10 minutes each. The ceremonies involved an incense metal pot, puncturing a plastic bag full of confetti and other offerings, and pouring and spraying of beer. At the end, they all shook hands, hugged and shared beer. Quietly watching the locals going about their rituals around me, I tried to understand and connect with them and their beliefs. I felt peaceful and good, seeing the faces of the blessed souls. A magical sunset brought the cold and stirring of what was till then crisp still air.